Now don’t get worried, this is only for improvements, in fact, it’s already been quite helpful. I wouldn’t blame you if you’re wondering what ‘It’ is, given the complete lack of information! The ‘It’ in question is not in fact a disembodied walking hand, it’s the fact that I’ve registered a domain. 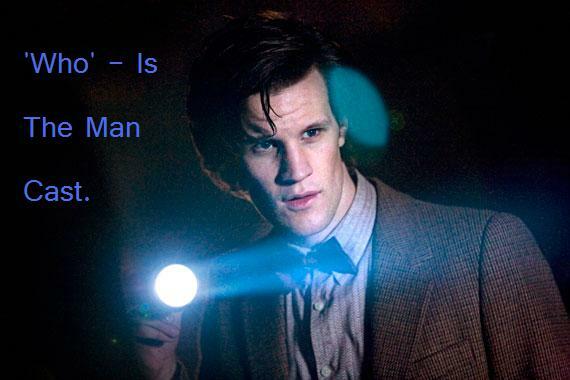 That’s right, Who Is The Man can now be found at www.whoisthemanpodcast.com, there’s no .Wordpress.com needed. This blog will stay up, but the main activity will happen at the new website. Everything will be just like normal (well, as close to normal as I can get), just somewhere else. ‘Who’ – Is The Man Podcast episode 19: Hand me a funny title. Hello all here is episode 19! Sorry for the delay, I’ve been busy. In this episode I give you my hopes, fears, and preditions, I hope you enjoy! Please send in feedback to whoitm@gmail.com, whoitm@hotmail.com or to the Facebook group. P.S sorry for the light editing job… I’m tired and editing is boring and hard! Doctor Who series 5 Soundtrack. 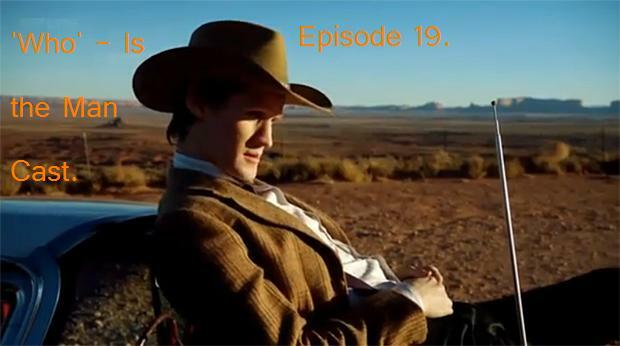 ‘Who’ – Is The Man Cast episode 11: I Am The (Eleventh) Doctor! Here is ‘Who’ – is the Man Cast episode 11. In this episode review/round off/ sum up Season 5 of Doctor Who. This was a big season…or was it? We DO have got a new Executive Producer/ Head writer, a new Production Crew, a new Doctor and Companion (or is that two Companions?). BUT were the stories any good (in my opinion), have a listen and find out. If you agree or disagree send in your feedback to BOTH whoitm@hotmail.com and whoitm@gmail.com, or in the Facebook group. Hello all, I’ve been plugging podcasts in my episodes and I haven’t really put any links so this post is to plug them and give you a chance to check them out. Now, I listen to A LOT of podcasts (Doctor Who or not) and it will take me some time to list all of them here so have a look at that wonderful site, but I will mention some. First off my favourite (not to take the others down, I just like this one) the Staggering Stories Podcast: it’s just a whole load of fun really, it’s a group of friends who sit in front of a microphone (or two…or three…or how ever many they have), I love it. Then there is the Bad Wilf podcast: It is also very fun, and I’ll be on there soon. Now to The 20MB Doctor Who Podcast: another one that is very fun! The next one is The Omega Podcast: Wes and Wendall are two brothers and they do a video podcast one week and a audio podcast the next, VERY good! Another one is The Ood Cast: I’m new to this one, but it’s very funny! We also have Tim’s Take On… : he does such a great podcast, and goes to locations (I have only heard some of them so that’s what I’ve heard). Then we have The T.A.R.D.I.S Tavern podcast: I’ve just noticed this one recently, and it is GREAT! It’s also a lot of fun, Sean and Steve might swear but it’s for fun, they’re not insulting people anyone. Then the next one is The Doctor Who podcast: I call it a spin off podcast of DWO Online Whocast. Now the last one is my hero (on doing and hosting a podcast) The Tin Dog podcast: he hosts the show on his own and hosts it so well! I try to make mine interesting but he can do it without trying, it seems. Listen to all of those please, and check out the Doctor Who Podcast Alliance website, it is wonderful!